Don’t be fooled, tanning beds are DANGEROUS! You might know that laying in the sun can cause damage to your skin. Sunburn, wrinkles, and even skin cancer can result from over-exposure to the sun. So it would be the natural assumption that laying outside to tan is bad for you… so tanning indoors is a better alternative, right? All these tanning salons out there with their fancy tanning beds and booths – those must be safer, right? WRONG! Tanning beds emit the same harmful UV rays that the sun does! There are two types of UV rays – UVA and UVB. Most tanning beds emit mainly UVA rays, although some “high pressure” tanning beds emit a more concentrated mixture of the two. UV Radiation has harmful side effects such as skin cancer, cataracts, premature skin aging, and suppression of the immune system. UVA rays in particular have been shown to increase the chance of getting melanoma, the most deadly form of skin cancer! As great as getting a perfect tan can be, it’s not worth dying for. The FDA has banned the use of tanning booths by minors and strongly discourages people from using tanning beds for cosmetic purposes. There are too many risks involved. Besides skin cancer, you risk getting a sunburn and without using goggles, you put yourself at risk of getting a condition called arc eye, or snow blindness, which is basically like a sunburn on your eyes! Many tanning booths limit your exposure to 20 minutes, but 20 minutes can be enough time to cause damage, especially when you go often. Why spend time and money for something so dangerous? There’s a safer alternative…. Airbrush tanning doesn’t create color using a dye or stain, it uses a compound called Dihydroxyacetone, or DHA, which sounds like a crazy chemical name, but it’s actually an all-natural, organic, simple carbohydrate with formula C3H6O3. This skin browning effect is non-toxic and not invasive. This reaction takes place in the outermost layer of the skin, not deep down where UV Rays penetrate. Different amino acids react to DHA in different ways, producing different tones of coloration from yellow to brown. The resulting pigments are similar in coloration to melanin, the natural substance which browns or “tans” from exposure to UV rays. It’s a natural, organic reaction, not one caused by radiation. The result is a natural looking tan without the harmful side effects. We no longer have to stand in a booth that sprays you and turn around hoping to get every inch of skin evenly either! Airbrush tans are applied by trained professionals using a special spraying device that will make sure there aren’t any missed spots or uneven tone. Airbrush tanning technicians can even apply the formula in such a way that you can add slimming contours and cover problem areas specifically. When properly cared for, an airbrush tan can last up to 10 days. It’s a natural, organic, safe option for getting some color all year long. And best of all? It’s quick! Instead of lying around all day getting a tan, you can be in and out in 15 minutes with a full body tan, and technicians can even come to your home with a mobile station and do it for you there! Shine uses organic, vegan, cruelty-free formulas that you can feel good about and fit with your own healthy lifestyle. * UVA or black light, which causes tanning. * UVB, which typically causes damage in the form of sunburn. * UVC, which doesn’t affect us because it’s filtered out by the atmosphere before it can get to our skin. The problems we associate with sun exposure, such as premature aging, skin cancer, sun spots, etc. are primarily caused by harmful UVB rays. Research suggests UVA might have a hand in these things as well. Most of the sun’s UV radiation at sea level is UVA rays. UVA can be reflected, as well. Snow actually reflects roughly 90% of UV light, which is why you can get severe sun burns while skiing or snow boarding. Sand reflects up to 20% of UVB too, so at the beach, you’re getting more UV exposure than you would be getting if you were sitting in your backyard. Water also reflects UV light, although it doesn’t prevent it from penetrating the surface of the water. You can still get burned while swimming. Some surfaces can absorb these rays rather than reflect them. Certain types of glass do this, and our own melanin in our skin absorbs UV light to some degree. Ultraviolet light in the sun stimulates the production of melanin. This pigment protects cells from damage by absorbing as much UV radiation as it can. Imagine you put a sponge on top of a piece of paper and slowly dropped beads of water onto it. The sponge would soak the water up before it can ruin the paper. That’s sort of what your melanin does to UV rays. It can become saturated, though. Eventually if you keep dropping water on it, the paper will be ruined. It’s this protective melanin in your skin which gets darker and creates what we call a tan. Caucasians typically have the least amount of melanin in their skin on a day-to-day basis, but in many other races, there is a continuous melanin production, which causes the skin to remain pigmented and also offers more protection against UV rays. It’s important to note that all UV rays are potentially dangerous. They can cause deep damage to your cells, which results in painful sunburn at best and fatal skin cancer at worst. It’s important to protect yourself from skin damage by wearing sunscreen when you’re outside. Avoiding direct sunlight is the best way to protect yourself. This really ruins your chance at a tan, though. There is one more way that you can get naturally darker skin, however. That’s through DHA. DHA is an organic compound naturally found in your own body that creates a chemical reaction within the amino acids in the outermost layer of your skin when applied directly to the exterior of your body. This reaction does not involve the underlying skin pigmentation, nor does it require exposure to ultraviolet light to initiate the change in color. It is similar to the maillard reaction which occurs in food. It’s a natural, temporary color that looks just like a tan that occurs from melanin. The active ingredient in airbrush tanning is DHA. The color produced in an airbrush tan typically lasts 7-10 days, but it is much safer than roasting yourself in the sun or using a tanning bed. Don’t Lose Your Summer Tan This Fall! It’s autumn, your summer tan is probably fading. The days are shorter, you’re wearing warmer clothes, and you’re spending less time outdoors in the sun. It’s natural that people start becoming pale around this time of year. But you might be forgetting just how great you looked with that tan! It wasn’t just the warmth of summer that made you smile, it was seeing how radiant you looked with that healthy glow! The good news is that you don’t have to waste time/money and risk your health with tanning beds in order to keep that color all year round. Airbrush tanning is a quick, affordable, and SAFE way to keep a natural tan – even in the dead of winter. An airbrush tan does more than just make your skin darker – it helps to hide blemishes, stretch marks, and age spots. It makes you look thinner with the right contouring and can give the illusion of a having a bigger bust too! A little color in your face also makes you look healthier than having pasty, pale skin. These are just a few of the benefits – there are many! The biggest concern people usually have about getting an airbrush tan is that they worry it will look orange and unnatural. This isn’t some spray bottle you bought at the convenience store! This is a special formula administered by trained professionals. You probably know more people that get airbrush tans than you think – because you can’t tell the difference! Our airbrush tanning solutions are 100% vegan and cruelty-free. They’re approved by the FDA and don’t carry the risks of skin cancer or premature aging that UV Rays in the sun and tanning beds do. It’s not a dye or stain on your skin – it’s a natural process caused by the organic compound DHA. Read all about how it works here! It’s also super quick – you can be in and out in 20 minutes with the tan you want, rather than laying out in the sun all day or wasting time roasting on a tanning bed. You can even arrange for our technicians to come to your house and do it there for you! It can make for a great day of pampering if you want to invite friends over for cocktails and tanning! Or before the big homecoming dance, you can get the girls together and everyone can get a tan and have a blast. It’s also less expensive than you’re probably thinking. Well worth the price, too. So this year, there’s no excuse not to keep that tan going all year long! There are a lot of rumors out there about airbrush tanning. 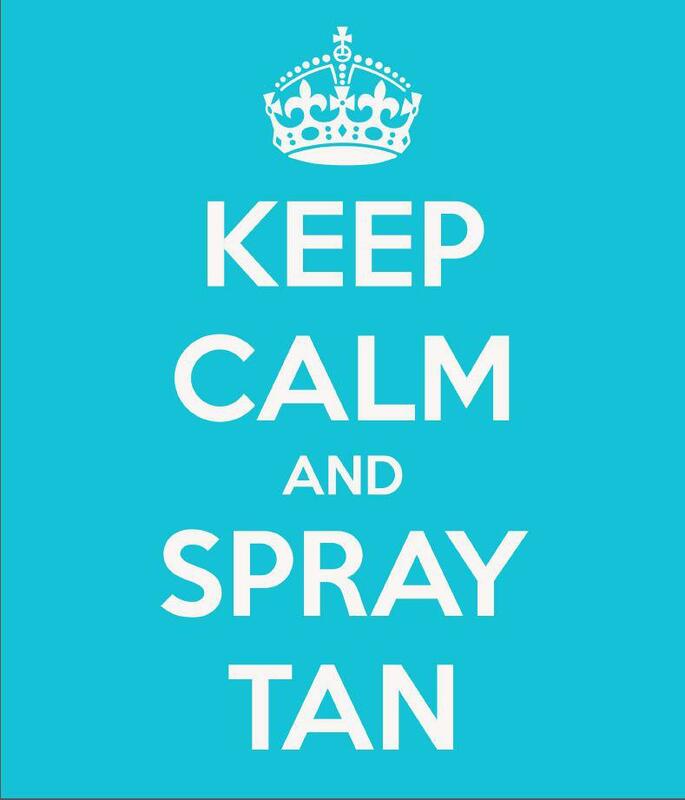 Let’s set the record straight about some of the most common myths about spray tans! Spray tans make your skin look orange. The fact is, airbrush tans are very hard to tell apart from natural sun tans. The solution sprayed onto the skin during an airbrush tan is NOT a dye or stain the way some tan-in-a-bottle sprays are that you can find at the local market. Professional airbrushing solutions use an organic compound called DHA which causes the very top layer of your skin to darken naturally. DHA is FDA approved and doesn’t carry the serious risks that tanning beds or laying in the sun can carry. Airbrush tanning technicians are professionally trained to know which solutions and how much are appropriate for each client based on their skin tone. They make sure that your color comes out looking natural and radiant, NOT orange! Spray tans wash off in the shower. This simply isn’t true. You should avoid showers for several hours after you apply a spray tan because you need to let the solution thoroughly seep into your skin in order for it to work properly, but as mentioned above – an airbrush tan isn’t a dye or stain. It’s an actual natural reaction that causes the top layer of your skin to darken. We are constantly losing skin cells as they die and get sloughed off. When the layer of airbrushed skin is gone, the tan leaves with it, and that’s why an airbrush tan may only last 7-10 days. But it’s not because the color “washes off” with water in the shower. In fact, it’s recommended to keep your skin moisturized with lotion while you have an airbrush tan so that the skin cells don’t dry out, die, and flake off as quickly. Airbrush tanning is dangerous. There are some legitimate concerns when it comes to tanning. The sun and tanning beds both create a tan with UV rays that penetrate deep into your skin. These rays cause a tan, but they can also can cause many BAD things, such as wrinkles, sun spots, sun burns, and even skin cancer! For that reason, people are sometimes wary of tanning. But airbrush tanning doesn’t use UV rays. Airbrush tanning uses DHA to create a tan instead. If you don’t know what DHA is, you might think that sounds scary; like you’re spraying a bunch of chemicals on your skin. But DHA is organic and our solutions are 100% vegan and cruelty-free. It’s a natural compound that creates a natural reaction in the very outermost layer of your skin. It doesn’t affect the deeper layers of your skin, and doesn’t carry the risks that UV rays do. The FDA approves of using DHA on the skin and it hasn’t been shown to have any damaging effects. Airbrush tans won’t work with certain skin tones. Not true! There are many different solutions that have been specifically designed for people’s unique skin tones. Everyone, from the most pale and freckled, to the darkest skin toned, can get an airbrush tan that looks natural and glowing. Airbrush tans even out and conceal skin tone blemishes for people of every color. Spray tans smell bad. When people first discovered how DHA works, they had trouble with the smell created by the amino acids in the skin reacting to the DHA. We’ve come a long way since then! We’ve improved the ingredients and technology used in creating our airbrush tanning solutions so that they smell GOOD rather than bad! Now that you know a little bit more about airbrush tanning, you should feel more comfortable and confident to go ahead and try it for yourself! Your skin gets tan because the sun produces UV rays that penetrate your skin. These UV rays are actually pretty dangerous. It’s like being in a giant microwave. So to protect your cells from literally baking, your body produces melanin to absorb these rays safely. This is what makes your skin darker. But getting a natural tan from the sun is sometimes tricky. There is a fine line between tanning and burning. Try as you might to protect yourself, I’m sure there’s been a time or two when you’ve gotten a dreaded sunburn. It looks and feels terrible. Painful, itchy, peeling, bright red skin is a far cry from healthy, gorgeous, glowing tan skin! But that’s just one of the risks of tanning outdoors in the sun. Long term sun exposure can deeply damage the anatomy of your skin cells and cause wrinkles, sun spots, and even skin cancer. Tanning beds produce UV rays as well, so it works in much the same way. It also carries the same risks. You might think that’s the only way to get a natural tan, but it’s actually not! Airbrush tanning is another natural way to tan. (I know… I’ll give you a minute to pick up the pieces of your blown mind…) It’s not a paint or a dye that gets applied to the skin like most people think it is, which is why it won’t leave you looking orange the way most self-tanners do. Airbrush tanning actually uses a non-toxic, completely organic compound called DHA. It doesn’t cause wrinkles, sun spots, or skin cancer the way the sun can because it doesn’t penetrate deeply enough to damage your skin cells. 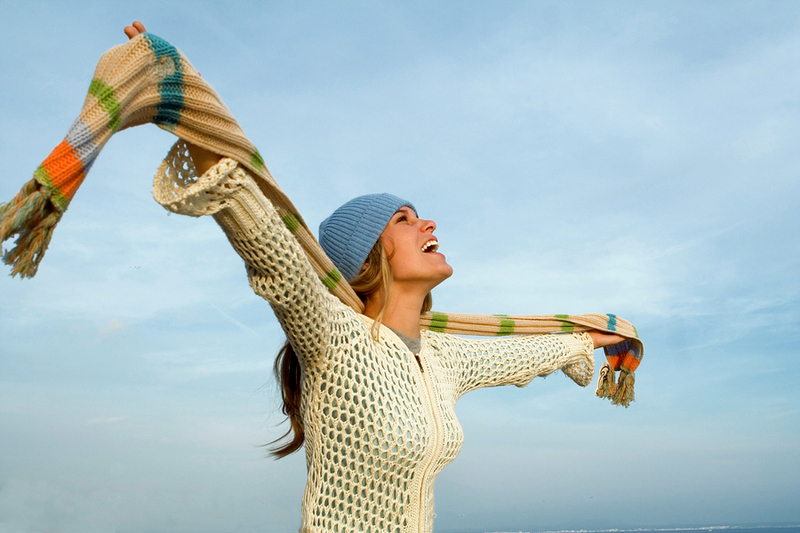 DHA creates a chemical reaction within the amino acids in the very outermost layer of your skin. It’s a little bit like when you cut an apple and it begins to turn brown on the surface. This reaction does not involve the underlying skin pigmentation, nor does it require exposure to UV rays to initiate the change in color. It’s a natural, temporary color that looks just like a tan that occurs from melanin. Airbrush tans typically last about 7-10 days if you exfoliate properly before your appointment. It’s FDA approved and less expensive than you probably think it is for such an amazing treatment. So the next time you want a natural tan, try airbrushing! We’ve all been outside a liiiiittle too long without applying or re-applying sunscreen and have had to deal with the dreaded scourge of summer: SUNBURN! But what exactly causes that red skin/blisters/peeling/itchy/painful ordeal? Well, the sun produces UV radiation and too much exposure can cause a form of radiation burn. That’s basically what a sunburn is: Radiation burn. If it feels like you’ve just been cooked in a microwave oven, it’s because that analogy isn’t THAT far off. UV rays start to “roast” the skin cells’ DNA, killing those cells. If the damage is not properly repaired when new skin cells are created, it can cause sun spots. It can also cause a tumor to form in the skin. The tumor might be benign, but it might also be a cancerous melanoma! Skin cancer is a very real threat. Cancer can spread to other parts of the body and end up being fatal. To avoid sunburn, you should limit your exposure to the sun. I know, I know – that’s easier said than done. Who wants to be inside all day? You’re going to be outdoors and you can’t avoid sun completely! That’s where sunscreen comes in. Sunscreen applied to exposed skin also helps reduce your risk of burning. The higher the SPF, the more protection you have. They make sunscreens that you can wear in water as well, but be sure to re-apply a few times through out the day to keep yourself safe. Clothes help, too! Wearing hats and clothing that covers your skin can help reduce your exposure. If you do happen to burn, there’s no “cure” but there are things you can do to help alleviate the painful symptoms until the burn heals. Use cool, wet towels on the area or take cool showers to help bring your body temperature down. Apply lotions that contain aloe vera to sunburned areas to soothe the skin. Topical steroids (such as 1% hydrocortisone cream) may also help with pain and swelling. Note: Do not use the cream on children younger than age 2 unless your doctor directs you to. Oatmeal and chamomile are sometimes recommended to help with the itching and peeling of sunburns. But what about tanning? Tanning beds also produce UV rays, so they should also be avoided in order to reduce your risks of skin damage. But you still want that color! What are you supposed to do?! Well, that’s where airbrush tanning comes in. You can get the color without the sun! It’s not a stain, you won’t turn orange – it’s an FDA-approved natural, organic compound that produces color in the top layer of your skin but doesn’t damage the deeper layers the way UV rays from the sun or tanning beds can! The solutions we use at Shine are vegan and never tested on animals. It’s a safe, affordable way to get the tan you want this summer without risking the dreaded BURN! Give us a call today! After all of the research that proves how harmful sun exposure is and how tanning beds carry many of those same risks, I can understand how you might be curious about the safety of spray tans and airbrushing tanning as well. Let’s start with the basics – What is an airbrush tan? How does it work? When you get an airbrush tan, a technician uses as specialized tool to spray a solution on your skin which leaves you with a natural tan for approximately 7-10 days. The solution contains Dihydroxyacetone or “DHA” – I know it sounds kind of scary, but DHA isn’t some sort of toxic chemical! In fact, it’s a completely NON-toxic, organic compound and it creates a reaction with the amino acids in the stratum corneum, which is the very outermost layer of your skin. This reaction is completely natural, it’s similar to the one that makes an apple turn brown when you cut into it. When you tan outdoors or in a tanning bed, the color change happens in the deepest layer of your skin, called the basal layer. UV Rays from the sun or the bed penetrate deeply into your body to initiate the color change, but it can also cause serious skin damage and even cancer. Your sun tan might be temporary, but the sun has broken down the DNA in your skin cells permanently. With DHA, nothing penetrates that deeply. The DHA stays on the surface of the skin and the reaction doesn’t affect anything below that first outer layer of skin. We are always shedding and re-growing skin. When that top skin flakes off, the color from your airbrush tan leaves with it. Nothing is permanent with an airbrush tan. The FDA has done extensive research and deemed DHA safe to use. You should not ingest the solution and you should not get it into your eyes, nose, or mouth. So, when you get an airbrush tan, keep your eyes and mouth closed, and don’t inhale the solution. Some people prefer to use nose clips as well, just to be safe. There are some people who have been known to have an allergic reaction to spray tans, but that’s usually due to other ingredients in the solutions used. If you’re sensitive and have many skin allergies, you might want to test a small area to see how it reacts before you do your whole body. Airbrush tanning does NOT carry the risk of skin cancer or photo-aging that the sun or tanning beds do. There have been issues reported with other tanning products that are sometimes called tan enhancers, accelerators, promoters, or amplifiers. Many of these products interact with the sun to create an even deeper color, so they are actually accentuating the damage done to the skin by the sun itself. There are also oral pills, which are banned commercially in the U.S. and for good reason. They contain the carotenoid chemical (the same pigment found in carrots), and have been associated with a variety or disorders including hepatitis and hives. Airbrush tanning contains NONE of these risks either. It won’t protect you from the dangers of the sun, though. So when you leave the house, you’re always encouraged to wear sunscreen with an appropriate SPF number to minimize your risk of damage from the sun. So airbrush tanning is basically the safest way we’ve found to get a tan! It’s also the fastest. You can get a full body tan in about 15 minutes as opposed to laying in the sun for hours! I bet you’ll be surprised to learn that it’s also quite affordable. Some salons, like Shine in Denver, even offer an option to do a mobile tanning session, where they bring the equipment to your house for you and tan you in the comfort of your own home! Give it a try and see for yourself. It’s fast, cheap, and SAFE! Why not?